Pink Lemonade : Oh Garden of Fresh Possibilities! 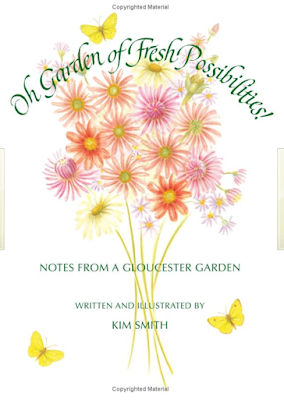 The author has written about the joys of gardening and accompanied the text with her own illustrations of flowers, songbirds and butterflies. I love the illustration on this cover. Thank you for posting this charming illustration and delightful poem - they both have brighten my day!